Twitter allows you to follow people and let others follow you too. 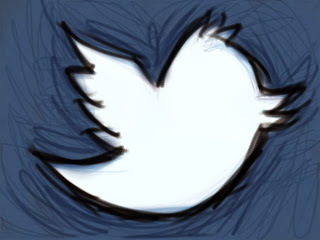 Twitter is one of the top social networking website for promoting business. One cannot simple get followers as soon as he signs up for it. There are thousands of third party applications that will let you get more followers automatically. But the actual scenario changes once you get spammed using these applications. In this post, I am going to tell you how to get more followers without using any third party applications but with your total effort in less hours per day. I am gonna make you stop wonder about what I'm going to say with some minute details in twitter following strategy. Read down continously to know more details about the secret to make more followers on your twitter profile. Lets assume you just created your twitter profile now and wanting to get more followers. All you know about twitter is that you tweet and nobody cares what you tweet exactly. That's not just true completely. You don't have to listen completely to what people talk about in twitter unless you're interested. Okay..!! Its time I stop going further AWOL from the topic and start telling you the steps that you should follow to get more followers. Now lets make a list of interests in things in real life that you'd wanna tweet. And then start tweeting some then and there. That doesn't costs you more than 20 minutes a day. I am gonna keep it short and simple for you. Tweet 5-10 tweets a day to show you're around. Tweet General quotes as you like. Tweet your topics that interests you. Tweet not more that 2-3 links a day from your own blog. If you just started using twitter, you might not want to create a look of spammy profile with a lot of links. Tweet anything that you'd want to tweet that make your profile seem lively on the road. That's it. You're done with the tweeting rules. Now let me tell you the main part of gathering like minded crowd. Just to match with the heading of the step, I have to tell you follow to get more followers. You don't have to worry about the followers if you're some kind of celebrity in your niche. If you're not, then you'd have to work on it manually. You can find the follow suggestions at the left side of your twitter. Follow people who are interested in following back. That would open your connections widely. You may notice the followers of your followers will start following you.. Follow the ones that you'd wanna make a connection with. The next thing you see is people following you everyday. Follow 50-100 people a day for a steady process in your follower's growth. That's been said, would take not more than 30 minutes to follow and follow back tweepies. Never stop following people because they're the ones you're gonna share your posts and tweets with. Yes. Never go for third party apps. When I say third party apps, I clearly wanted to mean the apps that say will get you more followers. If you're concentrating mostly to run your profile as business, then you should know that you've to build your followers that interests you and your tweets. I have personally used such third party apps at the start and spammed myself. Make sure you follow people on your own to avoid getting suspended. There are differences that when you use a tool to manage your tweets and a tool that says will increase your followers list. Managing your twitter account would also need your nerdy work inside to set the things such as auto-follow etc., that would be a time slayer. But when you follow regardlessly with any tool will only get you followers that may lead to your suspension or spamming inside your twitter. I am talking about the "Who To Follow Suggestions" at the left side of your twitter. It is an effective one for you to raise your followers list. When you follow people on your niche, twitter tailors the follow suggestions based on your latest following's bio as such if you follow more writers profiles recently, the suggestion will show people who are writers. You can also use the search at the top to search for your niche tweeters. Searching for keywords like #bloggers will show you people who have tweeted with #bloggers recently and you can decide to follow (whether to make a connection with them or not). By selecting the "People" at the left side of the search will give you suggestions based on your keyword. You can make use of these functionalities to follow and get followed. I am sure this will not take more than an hour to follow 50 people a day. Getting mentioned from your followers with hashtags like #FF, #TGIF, etc., once in a while will also help you gain some followers. All those above are some simple and small things that you should make use to increase your followers list. What makes more interesting and fun is that how you connect with them once in a while to maintain the relation. Tweet them every once and make your followers hear what you say (tweet). Now that you've finished reading , share the love with your friends.